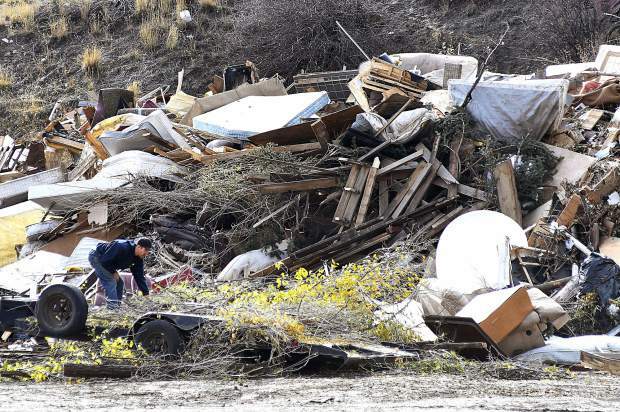 Questions have been raised both internally by Glenwood Springs’ mayor and externally by the current South Canyon Landfill operator, after City Council decided last week to bring the facility back into the hands of city staff. Council voted 5-1 at its Nov. 1 meeting to take over day-to-day operations of the landfill starting next spring, as opposed to contracting out to a private entity for management of the facility. Currently, the city contracts with Heartland Environmental Services to run the South Canyon Landfill. That will change when the contract expires in April 2019. “I do believe we should go out for RFQ (Request For Qualifications),” Glenwood Springs Mayor Michael Gamba, the lone dissenting vote on the matter, argued during last week’s council meeting. As it stands, Gamba said the city hasn’t even put together a business plan to know precisely what it will cost in the way of capital, ongoing operations and maintenance compared to potential revenue. However, members of the public speaking at the Nov. 1 council meeting pointed out the negative ramifications not offering composting would have on numerous local businesses, including car washes, restaurants and hotels. Composting certain materials, such as food and organic construction waste, is also one of the ways to divert a percentage of waste from the landfill itself, thus extending its lifespan. “They got some pressure to continue the compost operation in some form or fashion, which they believe they lost money on. Well, it is all how you look at it,” Heartland Environmental Services owner Larry Giroux told the Post Independent in a previous interview. “They operated the landfill from 1999 to 2009 … and when I took it over in 2009 it was an absolute environmental, operational, aesthetic mess,” he added. Giroux was also critical of the Blue Ridge evaluation, calling it “flawed,” including the recommendation to stop the compost operation. As previously reported, City Councilors Steve Davis, Jonathan Godes, Jim Ingraham, Shelley Kaup and Rick Voorhees voted in favor of bringing the South Canyon Landfill operation back in-house at the conclusion of the current contract, and not to take it out to a competitive bid process. Councilor Todd Leahy recused himself from the discussion, leaving Gamba as the lone “no” vote. Currently, the city is losing about $1 million per year on the landfill operation, Figueroa said. “I believe the consultant did a thorough analysis and made solid suggestions on how we could make improvements,” Figueroa said. “Staff will follow many of the recommendations in the report, but will also apply local needs and resident preferences to the overall management of the landfill. When asked what the city would gain by bringing the South Canyon Landfill operation in-house, compost included, Figueroa replied, “The consultant estimated that the city could save just under a million dollars a year by taking over operations.